Negotiating Cell Site Contracts - Antenna Management Corp.
Are you negotiating cell site contracts? Have you been approached ? Does the Cell Company indemnify you? Are you covered for any loss suffered by you as a result of cell activities? Is there a “duty to defend” clause? You want the carrier picking up the tab for any defense costs right from the start. Have you defined the number of new antennas on site? Older antenna panels are being replaced with new ones containing more transponders with higher capacity. This means more money for the carrier. A typical site can gross over $1 million annually. With data rates increasing 42% yearly (Cisco) many more antennas are being added. Property owners can benefit from increased income. Who can sub-lease a site? Why give up revenues if another carrier wants on site? Where are the Safety Code 6 reports? Without reports the property owner may be liable for antenna RF injuries. Damage awards in Canada can exceeded $10 million against property owners for injuries. Does the carrier’s insurance have a “named insured”? Is there a waiver of subrogation, certificates of insurance, copy of the carrier’s policy and notice of change or cancellation? Are the contractors insured? 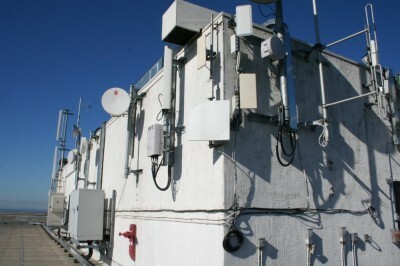 Most cell site leases give 24/7 access. But who is liable for injuries if workers are uninsured, unlicensed, certified and not WCB registered? Control access to your property and check credentials. Can the propety be improved? In 20 years, owners will want to develop or improve the property.? Without terms, owners may be limited in hat they can do. Lost opportunities can be expensive. Will the antenna damage a roof? Mold and water ingress of the building envelope is critical. Some carriers may save money to install equipment. 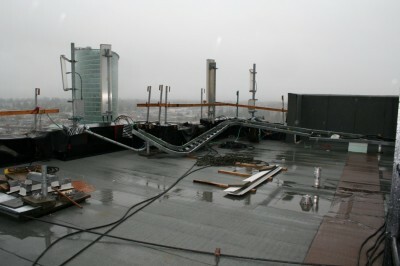 Resulting holes in the roof membrane can compromise the integrity of a building. 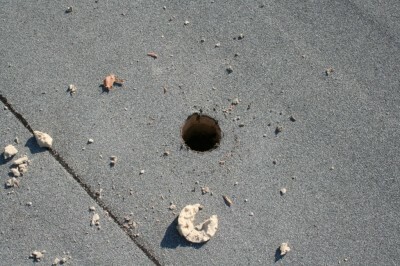 An installation may void a roof warranty. Installations need to be continuously monitored – especially with more workers on site. Carriers demand the right to terminate the lease in two months. Landlords are locked in for 20 years. What are the options? What is a signing bonus ? This is not meant to be an exhaustive list but food for thought. Contact AMC for a tailored lease.